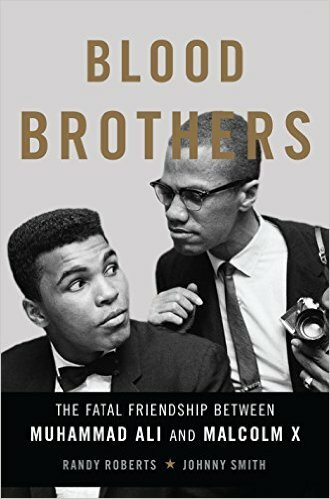 The Context of White Supremacy hosts the fifth study session on Randy Roberts and Johnny Smith’s 2016 offering, Blood Brothers: The Fatal Friendship Between Muhammad Ali and Malcolm X. The book was released months before the passing of Ali. Roberts and Smith, both Racist Suspects, examine the genesis and dissolution of Ali and Minister Malcolm’s relationship and how their friendship deteriorated as Minister Malcolm’s exile from Elijah Muhammad and the Nation of Islam became permanent. Unfortunately, Ali was unable to reconcile things with Malcolm before his 1965 assassination. Last week’s session again detailed the massive surveillance targeting Minister Malcolm and the Nation of Islam. The White authors continue to describe Cassius Clay as a master deceiver. The text also revealed how Clay’s White handlers became increasingly concerned about his contact with the NOI. Well before Clay became heavyweight champion, he began echoing the teachings of Elijah Muhammad and Minister Malcolm X. While Jackie Robinson and other celebrities proudly supported the NAACP and the 1963 March on Washington, Clay (and Malcolm X) ridiculed the organization, the tactic of non-violence, and the “Farce On Washington” for being controlled by Whites and not the solution to White Supremacy. Again, this text should highlight the importance of not name-calling black people.